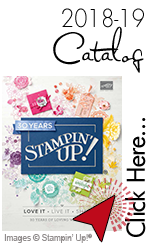 A Softer Balloon Adventure , Stampin' Up! This card is bright and full of fun in the 2017 Occasions catalog, and sometimes that can make it hard for people who may not bright and loud to see how they could use it. So ,I made this a very soft and feminine card, to give you a different perspective, and help you see some other options. But you can easily switch it out to your taste, and make it a bright card too! Card base: Tip Tip Taupe measuring 4 1/4″ by 11″, score at 2 3/4″and 5 1/2″. DSP layers for the base measure 4″ by 5 1/4″, and two 2 1/2″ by 4″pieces. Then two Whisper White pieces at 21/4″ by 3 3/4″. I stamped the balloons in Tip Top Taupe, doing one in a lighter shade by stamping off first. I stamped the confetti in Blushing Bride ink, and the sentiment as well.I added a few Pearl embellishments to the front too. Inside base measures 3″ by 8″, score at 4″. Two Whisper White pieces at 3 3/4″ by 2 3/4″, and a DSP layer at 3 1/2″ by 2 1/2″. You could add a little extra pizzazz to the front inside layer by punching a few balloons form the Balloon Builder punch in Tip Top Taupe and Blushing Bride, and pop them up on dimensional. I do think it’s a perfectly beautiful card, just as it is, do you?